The Most Famous Presidential Portrait of All Time? Poster print available at Amazon. 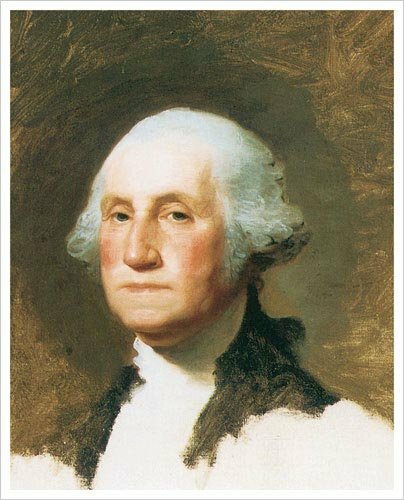 When one thinks of America’s first president, George Washington, the image that likely comes to mind is the likeness captured by American painter Gilbert Stuart. After all, his “Portrait of George Washington” – also known as “The Athenaeum Portrait” – became the basis for the image on the American one dollar bill. 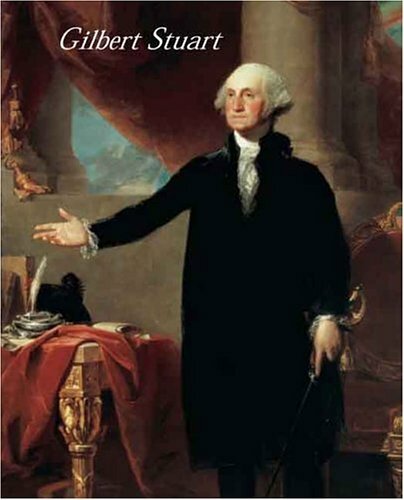 It a painting which has been reproduced countless times – many times by Gilbert Stuart himself! But do you know some of the interesting facts about this legendary portrait, and the artist behind it? 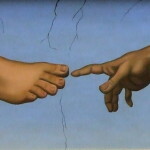 The painting’s story is quite interesting, perhaps as much as its subject and the creator itself. Here I’ll share some of the curious details of “The Athenaeum Portrait”, which will surely give you new things to think about the next time you open your wallet and see George Washinton‘s face there! “The Athenaeum Portrait” by Gilbert Stuart. Poster print available at Amazon. 2. This was George Washington’s third – and final – time sitting for a portrait for Gilbert Stuart, sometime in late 1796. The first two times took place at Stuart’s studio in Philadelphia. On this occasion, the sitting took place at Gilbert’s barn at his home in Germantown, just outside of Philadelphia. 3. Stuart faced one particular challenge when Washington arrived for his first sitting for this portrait – he’d just acquired a new set of false teeth. Not only were they paining the President, but they created an unnatural bulge about his mouth and distorted his jawline. 5. Stuart typically had his subjects sit for three two-hour sessions in order to complete a satisfactory likeness, so he could then complete the painting. However, in the case of these paintings of George and Martha Washington, Stuart never completed them! Why? Because he was so pleased with the likeness of President Washington that he’d captured, he wanted to keep it as a reference for reproducing copies – to sell to other clients and customers. 6. There was a tremendous market at the time for paintings of President Washington, so Stuart knew he could make considerable money reproducing Washington’s likeness. It is believed that Stuart produced at least 75 copies of this particular reference image of Washington, which he sold for $100 each. He never reproduced the image of Martha Washington. 8. The quality of Stuart’s reproductions of “The Athenaeum Portrait” varies considerably – some feature great detail while others appear much more rushed and sloppy. The size and shape of Washington’s head varies as well from one painting to the next, as Stuart was constantly fiddling with the image. By the end of his life, he stated he could complete a reproduction of the image in a mere two hours’ time. 9. 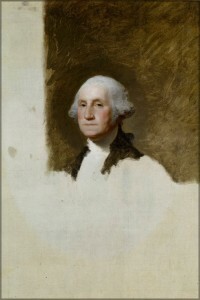 The pair of unfinished portraits are known as “The Athenaeum Portraits” because they were acquired by the Boston Athenaeum after Gilbert Stuart died. Today they are jointly owned by the Smithsonian Institution’s National Portrait Gallery in Washington, D.C., and the Museum of Fine Arts in Boston. 10. The image of Washington on the one-dollar bill is reversed from the original painting. Why? Because of the engraving process itself. 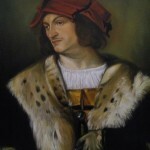 The portrait was engraved on metal facing in the same direction as the original painting, which means the image is reversed when the inked plate is pressed onto paper. – Pavel Svinin, a visiting Russian diplomat to the United States in the early 1800s. 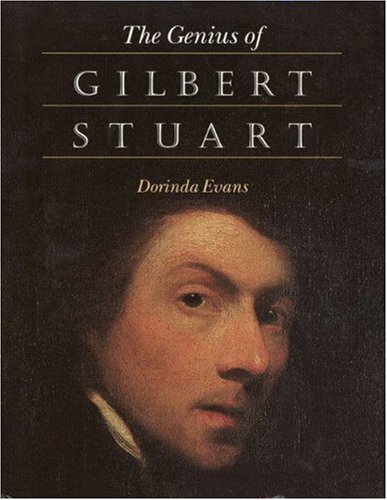 Gilbert Charles Stuart was born on December 3, 1755 in Rhode Island, and is today considered one of America’s greatest portrait artists of all time. During his lifetime he painted the portraits of over 1,000 individuals, including the first six presidents of the United States. 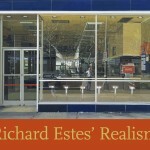 His work today can be found in major museums around the United States and in the United Kingdom as well. Stuart showed promise as an artist from an early age, and received guidance from Scottish artist Cosmo Alexander while living in Newport, Rhode Island. 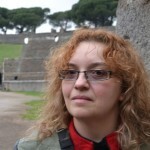 In 1771 he moved to Scotland to continue studying and working with Alexander, who unfortunately died in a year’s time. Stuart returned to America after failing to establish himself as an artist in Scotland – but the Revolutionary War would force him to change plans once again. Like other artists of the time, he left the States for England where he became a follower of Benhamin West. 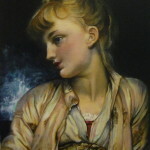 Studying with West, he was soon exhibiting work at the Royal Academy, and his work was considered in league with such famous artists as Joshua Reynolds and Thomas Gainsborough. Stuart returned to America in 1793, after 18 years abroad, and after a brief stay in New York settled in Germantown, near Philadelphia. It was here that he would begin to establish himself with his portraits of George Washington and other notable American figures of the time. In 1805, he moved to Boston where he continued to paint – yet still faced financial difficulties and debt as had plagued him most of his life. He was partially paralyzed after a stroke in 1824, but continued to paint for two more years until his death at the age of 72.